Home / Alumni / DLSL Alumnus in Focus: Atty. Johween Atienza, M.D. DLSL Alumnus in Focus: Atty. Johween Atienza, M.D. Eighty per cent as lawyer, he says; and the remaining twenty per cent as doctor. Those of you who are still in school and cannot wait to get out, spare a thought for this remarkable individual who spent no less than twenty-five years of his life in school studying. Johween Atienza is from the high school class of 1991. He calls himself an authentic Batangueño, having been born and reared in the small municipality of San Jose just fifteen or so minutes away from Lipa. His father later remarried and Johween has five siblings from his father’s second marriage. All, like Johween, went to school at DLSL. When I wrote to Johween to ask him if it was alright to write about him, his reply came with something of a curious reintroduction. “Sir,” he wrote back, “I was your student in your History class during my fourth Year in high school. You were also our Year Level Moderator. You always scolded us because we always made one of our teachers cry in our class. Oh yes, the Crying Teacher. The truth is, there was no need whatsoever for that reintroduction. I remember Johween quite well, as a matter of fact. He was the quiet – even pensive – boy in the corner and was very respectful. Of course, as with many of my students, there was really no way to track how their lives had gone after they graduated from high school; and this has made writing this series such great fun for me. The way Johween’s life eventually turned out after he graduated from high school was due in no small way to his being a brainwashed grandson and an obedient son. And the law part? “I decided to go to Law to fulfil my father’s dream,” he says. In 1994, having obtained his Biology degree from DLSU, he started taking up Medicine proper at the St. Luke’s College of Medicine. Medical School was serious business. “We read several chapters of our thick books every night. More than 100 pages per subject,” Johween relates the effort required of him and his classmates. In 1999, he graduated from Medical School and later acquired his license to practice as a medical doctor. He had the distinction of being ranked second in his class during his fourth year in Medical School. 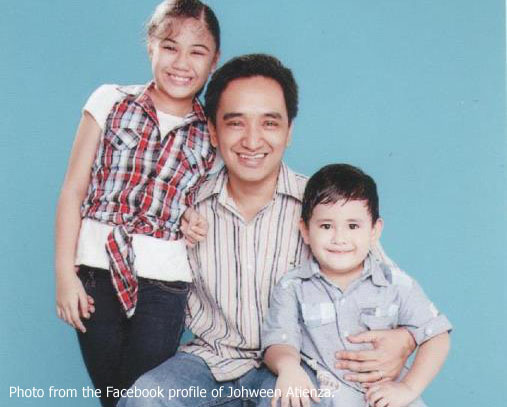 Instead of going into a residency program – which he knew he could always do later – Johween instead enrolled at the Arellano University School of Law. While waiting for the bar results in 2005 after having graduated from Law School, he was accepted in a law firm owned by Representative Edcel Lagman. He is still with the firm and is currently assigned at the litigation division and in charge of retainer clients. Although he practices both professions, Johween is candid enough to admit that he earns more from his practice of law. “I am pro-bono in my practice of medicine,” he says. Although he did have thoughts of going into residency training in Nuclear Medicine, this he could not do anymore because he had married and had children by the time that he became a lawyer. Still, his being a medical doctor has been remarkably helpful to his law career. “I use my medical knowledge during trials, especially in criminal and malpractice cases that I handle,” Johween says. He explains, “I drafted and filed the Petition for Certiorari and Prohibition declaring unconstitutional E.O. No. 1 or the Philippine Truth Commission of 2010 of President Aquino. 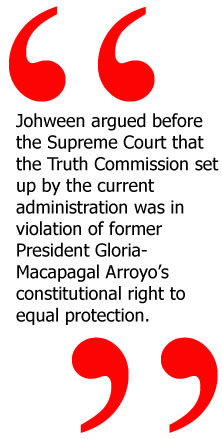 Johween argued before the Supreme Court that the Truth Commission set up by the current administration was in violation of former President Gloria-Macapagal Arroyo’s constitutional right to equal protection. 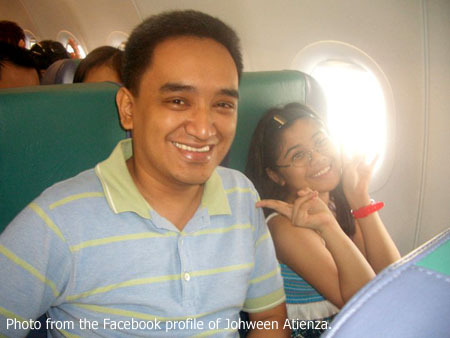 Johween is married to the former Myleen Santos of Antipolo City, who he met while still at Medical School. They have two children – 9-year old Kyra Lynah Jomai and 5-year old Kyle Markus Jomai. The small family currently lives in Pasay City. 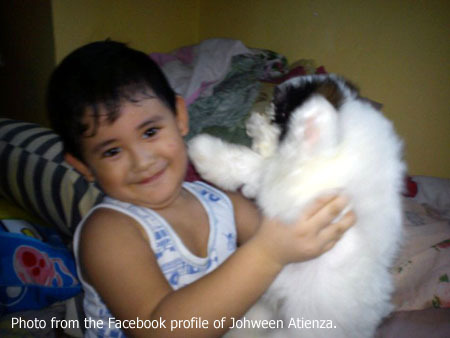 Whatever free time he has, Johween spends with his family at the malls or checked in at local hotels. When at home, he likes to sleep on the couch, play computer games with his children, surf the Internet or play with the family’s pet dog Shakes. Holidays are for visiting his wife’s family in Antipolo or his own in San Jose. Being the simple and self-effacing Batangueño that he always has been, Johween probably does not even fully appreciate the enormity of his having become both a medical doctor and a lawyer at the same time. He considers both as noble professions guided by the strictest standards of morals and ethics. He calls himself a mere average student; but emphasizes that he was a diligent one. Although he has left school after being in it for all of 25 years, he says that every day is still a learning experience. Although he has not won many awards and distinctions, he considers the smiles of his clients – particularly after he proves them innocent of false accusations – as his greatest rewards. He also has not forgotten where he came from, and continues to value and keep in touch with friends from high school.